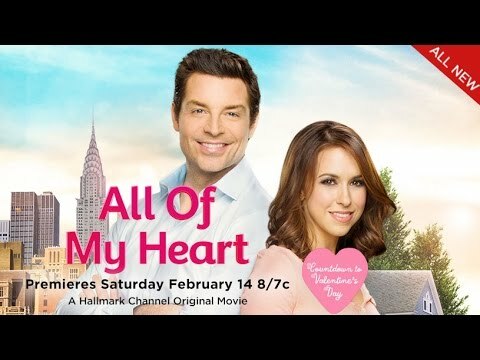 Hallmark Channel celebrates Valentine's Day every year with a lineup of romantic movies during their Countdown to Valentine's Day. 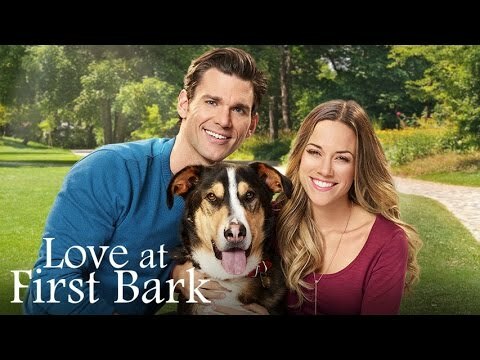 This list of Hallmark Valentine films is full of both romantic films that Hallmark scheduled during their Valentine's Day countdown and World Premiere Original Valentine's Day movies. 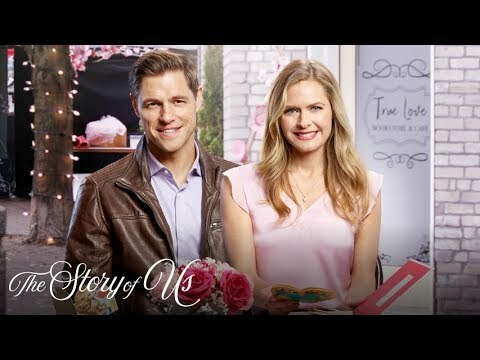 From sweet stories like A Dash of Love and Very, Very Valentine to more dramatic films like Royal Hearts and Accidentally in Love, these Hallmark Valentine movies are ready to share the love, no matter what time of year it is. If you're looking for a great Valentine's Day movie and don't mind a guilty pleasure, you may find just what you're looking for here. All of these movies are worth some love, but which of these Hallmark Valentine's Day films do you think is the best? Countdown to Valentine's Day world premiere on February 11, 2017. When an aspiring chef (Autumn Reeser) lands an assistant job at her idol’s restaurant, she's convinced her big break is just around the corner. But her joy is short lived when she discovers her idol’s stealing her recipes and fires both her and the handsome executive chef to protect her secret. Countdown to Valentine's Day world premiere on February 3, 2018. 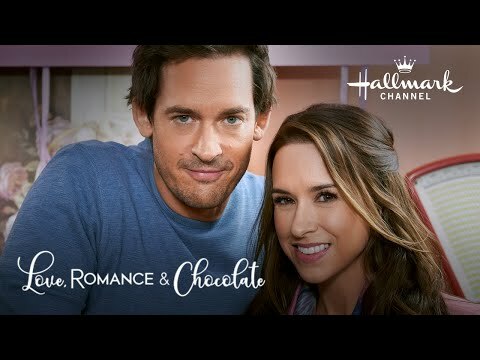 A young woman (Lacey Chabert) takes advice from the chalkboard notes that her mysterious house rental tenant leaves when a slick sales rep arrives with plans to buy her family’s prized winery. Countdown to Valentine's Day world premiere on February 13, 2016. Big city girls Julia (Autumn Reeser) and Sydney take a trip to a dude ranch in Wyoming for a fun weekend getaway. But when a brawl ensues in the local bar one night, the girls are sentenced to perform community service for disorderly conduct and are forced to stay in town, discovering a charitable cause that just might change their lives. When a best-selling author Angela (Julie Gonzalo) decides to escape the media frenzy, her plan goes awry when a she’s caught in a thunderstorm and crashes her car. Found wandering with no memory and no ID, the town doctor (and a single dad) offers up his guest house until her memory returns. Jenny's (Lacey Chapbert) life suddenly changes course when she inherits a country home and learns she must share it with a career-obsessed Wall Street trader. Their initial dislike for each other begin to change when they find themselves having to work side-by-side to restore their newly acquired home. Countdown to Valentine's Day world premiere on February 14, 2016. Katherine (Erika Christensen), a high-powered executive, and Jack, a male nurse, create internet dating profiles that don't tell the truth about their professions, hoping to find better luck. They are matched and find themselves falling in love, but hiding their true identities proves far trickier than expected. 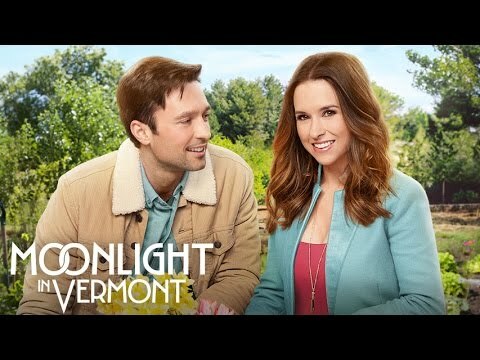 High-end real estate broker Fiona Rangely (Lacey Chabert) she escapes to her family’s quaint in in Vermont to re-evaluate her life after she is dumped by her boyfriend. 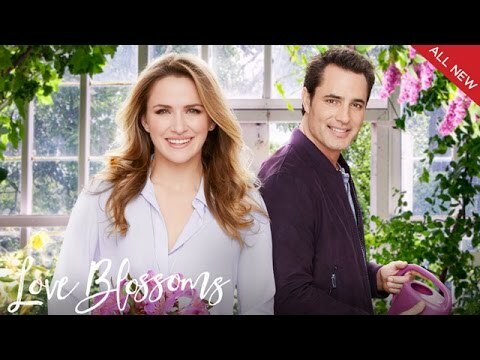 A complicated plan to get back at her ex-boyfriend that involves the handsome head chef Derek (Carlo Marks) gets more complicated when she realizes that she’s been thrown a curveball and that sometimes the best things in life are worth the wait. Countdown to Valentine's Day world premiere on February 6, 2016. Mina (Taylor Cole) has a boyfriend who has meticulously planned out their lives and a great job with International Corporate Brands. But when her work sends her to her hometown in Tennessee to convince an old, stubborn restaurant owner to sell, she encounters her ex-boyfriend, Clay, who claims he will never part with the property. Wedding planner (Danica McKellar) and event planner (Paul Greene) are hired to help out an engaged couple put together the wedding of their dreams. The two planners are as different as night and day, but as they learn to compromise, they discover opposites can combine to produce incredible results. Jonathan (Ryan Merriman) is a successful lawyer whose career is moving fast and Liberty (Lacey Chapbert) is a free-spirited woman with a carefree approach to life. Stuck in a broken elevator, sparks fly and they hit it off immediately. But will love allow them learn to embrace each other's flaws? Countdown to Valentine's Day world premiere on February 10, 2018. Helen (Danica McKellar), a kind hearted and shy florist, meets the perfect man at a Valentine's Masquerade Ball. When she enlists the help of her best friend Henry to track him down, she finds that her perfect man may already be right in front of her. Countdown to Valentine's Day world premiere on February 11, 2018. Optimistic and cheerful TV producer Kelly (Ali Liebert) doesn't have time for love. 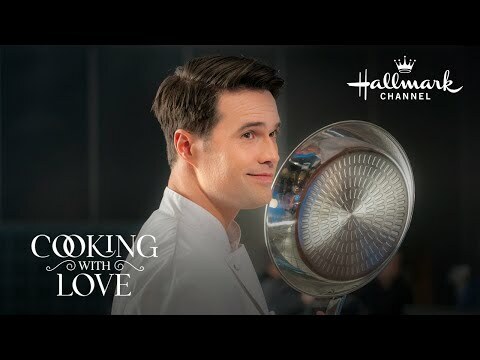 Bad boy celebrity chef Stephen (Brett Dalton) doesn't have time for anything besides cooking. Fun with a side of love ensues as Kelly and Stephen are paired on a children's cooking show. Perfumer Violet (Shantel VanSanten) is desperate to formulate her late father’s unfinished signature scent. Under great pressure to finish by Valentine’s Day, Violet hires an inexperienced botanist with an uncanny ability to identify scents. It’s not long before their professional relationship turns romantic, threatening their deadline and feelings for each other. Montana rancher Hank (James Brolin) learns that he's the last heir of the late King of Merania and has inherited the throne. His daughter, Kelly, convinces the reluctant royal to step in as king so that the country can keep its independence. Avery (Sarah Rafferty), a blogger with a string of disappointing Valentine’s Days, is ready to give up on love when she meets handsome veterinarian Brendan. When she finds out he blames his recent break up on her blog and is the one leaving her angry comments, she begins to question the bond they’ve begun to build. 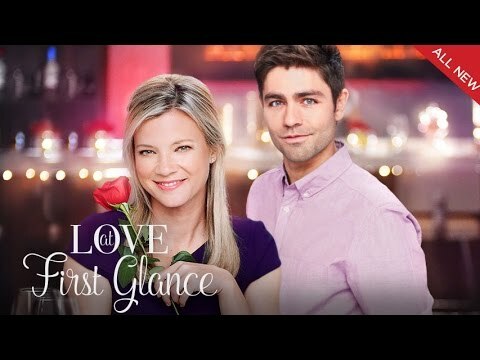 Mary’s (Amy Smart) hope for an engagement is upended unexpectedly when her fiancé tells her he is looking for someone more adventurous. On her train ride home, she finds herself trading glances with a handsome stranger who, leaves his phone behind when he exits the train. As Mary tries to return the phone, she finds herself on a journey of self-discovery. Desiree Harper's (Kathryn Morris) perfect life as the wife of a high-powered Manhattan doctor comes to a sudden end when her husband says he wants a divorce and invokes their ironclad pre-nup, leaving her penniless. Desiree soon finds moves back to New Jersey to help her father run his struggling bakery and rediscovers her love of baking Will she choose to recapture what she's lost, or hold on to what she's recently found? 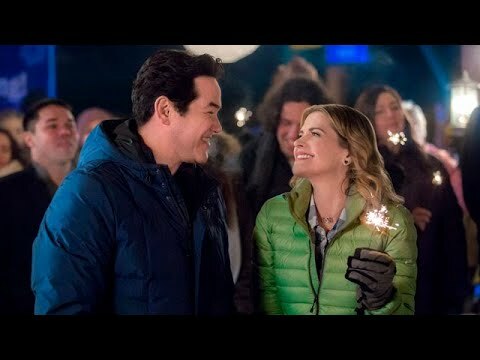 A former ski champion (Kristy Swanson) reenters the competitive world when a 16-year old downhill racer asks for help, leading her to reawaken an old passion and find a new love. A Hallmark Hall of Fame Presentation. 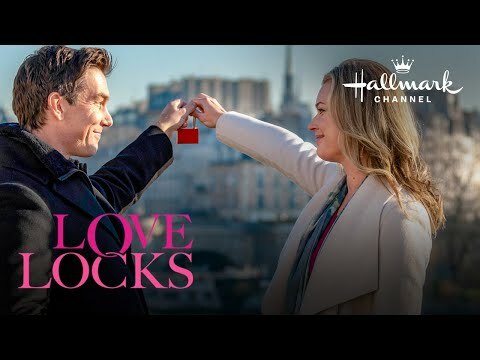 Lindsey (Rebecca Romijn) returns to Paris after 20 years and begins a journey of romance and rediscovery when she reconnects with her college boyfriend and first love. 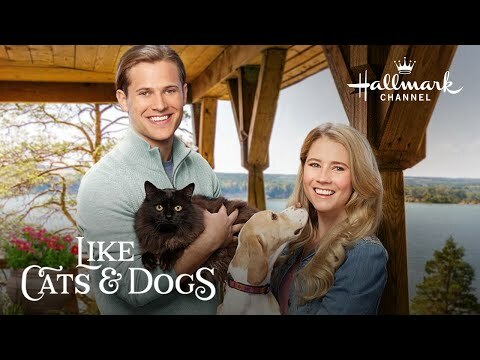 Spencer (Wyatt Nash) is a cat person. Lara (Cassidy Gifford) is a dog person. Their personalities couldn’t be more different, but when a reservation screw up lands them - and their pets - in the same vacation rental house, they all have to figure out how to get along with each other. Eddie James (Ethan Erickson), a disgruntled actor who wants to do more than play "Mulligan the Rabbit" on a children's TV show, discovers life can change in a heartbeat when he accidentally gets into a car accident with single mother Annie Baker (Jennie Garth). In the unexpected friendship that develops between them, Eddie tries to help Annie's nearly-blind daughter Taylor get an operation to restore her sight.